This blog is my thought experiment, backed by a couple years of research, 28 years of practical engineering experience and an over-active imagination. I like creative writing and to write my ideas down when they come to mind so here you go. As you go back and start from the beginning and read through, you will see that my thoughts have taken me all over our Earth and solar system. My research covers collapsed/subatomic or dark states of matter. I have had a lifetime(50 years) of interest in Physics, although I have a degree in Chemical Engineering, go figure. This information has not been formally peer reviewed yet, although I have supplied my pulsed microwave radar database to others and a study is underway. I am continuing to develop my models and post all of my “reverse epidemiological engineering” results on this blog. I have sent copies of some of my information to a few organizations just to get the information out, they can file it in the circular bin if they want to. I have a family, run a business, coach and play sports so my time is short and I am not getting paid to do this, it is just an interest since childhood to study nature and physics so I am doing it my own way and on my own time. While I do not know if my theory is correct, it appears to fit many of my own observations as well as those of many published documents, videos, blogs & news articles. I have literally plowed through thousands. While that in itself might be interesting?..as an engineer I get impatient listening to people talk about theories, I like to apply them to the “real world” In this case I consider it to be putting on a pair of dark glasses and taking a look around you. The impact of my theory, if correct is very simple. Many low pressure “disturbances” on earth are originating from orbital “dark/vacuum energy” comprised of micro black hole branes of entropy in space which are stringing through the atmosphere and Earth and interact primarily via entropic gravity as well as weak nuclear reactions. It appears they are forming strings in our atmosphere and telluric currents within the Earth. I believe most of this collapsed matter is orbiting and expelled from the Sun during CMEs and within the solar wind and make up the Sun’s quantum gravity field. Many massive particles orbit at relatively low frequencies (it takes time to travel 24,000 km or more). Although they may interact “weakly” with each orbit, I believe the “damage” is done from the tens of thousands of orbits through & above the earth over a period of months through beta decay and Low Energy Nuclear Reactions (LENR) at their surface. While these particles and the strings/filaments create the biodiversity on this planet, they can also decay all forms of matter over time, in the atmosphere, on land, in the oceans or beneath the Earth. The Beta Decay and LENR reactions as they are orbiting through the Earth can trigger sinkholes, seismic and volcanic events. If correct, it appears that the application of my theory would allow one to predict many “high energy events” on Earth as much as a few months ahead of time, or as soon as the areas of increased vacuum are detected. Many high energy disturbances appear to have a low frequency “Pulse” which I believe is the signature of the particles which also act as waves. By developing a tracking model for this particle, I believe one can predict the events along its path. I think any government should be able to put an aircraft, vehicle, sensors, etc. 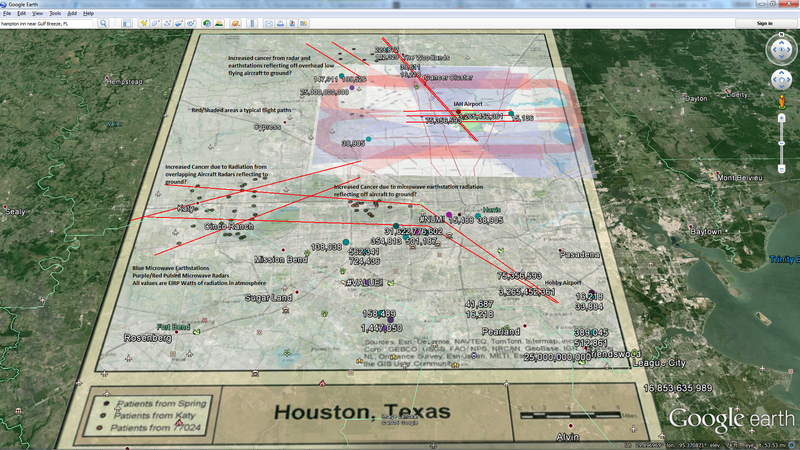 along the path of the disturbance, be it a hurricane, tornado, sinkhole forming, seismic swarm, volcano activity, etc. and pick up a low frequency pulses (magnetic, seismic, electronic, acoustic, etc.) and look for a frequency match wherever the particle might be orbiting, entering or exiting the earth (or orbiting completely below the earth). It makes sense none of this has been theorized and researched extensively before, since dark matter is not something you can see directly and only recently have researchers determined there is much more of this stuff around than regular matter and energy. Since it only leaves circumstantial evidence, it took a bit of research and creativity for my mind to “lock” in on it with that sixth sense . That is why we as humans have sort of “Been in the Dark”. I believe just as soon as we all realize the potential of this quantum “particle”, good and bad, a whole new universe will appear to us. The appearance of external links, advertisements, political opinions, or other posts on this blog does not constitute endorsement by the theNational Oceanic and Atmospheric Administration (NOAA), the USGS , the National Weather Service. Neither NOAA, USGS, and/or NWS exercise any editorial control over the information you may find at this blog. These links are provided consistent with the stated purpose of this website. I did not come up with string theory and/or M Theory and do not make the claim, I am trying to apply it to our weather and such and I link/reference material wherever I can. I need to add more references as I have plowed through lots of information to develop this theory. I did not come up with black holes and branes and do not make the claim, I am just trying to apply the theories to our weather and such and I link/reference material wherever I can. I did come up with my own theory of quantum gravity applying the first two items above, along with dark matter/energy to our weather phenomena, which also might explain quite a lot that I have not seen researchers study and also prove string theory and black holes. My videos are provided from YouTube shared/embedded links and follows their copyright terms. If they happen to remove a video somebody else has uploaded that I have referenced, I try to go back and fix it. I have not yet published information to Arxiv or any other scientific publication, I am trying to gather enough hard information to support my theory, which is mostly the application of theories of Strings, Black Holes, Dark Matter/Energy and Quantum Gravity and the weather, which many brilliant scientists much smarter than I have developed over decades. My posts are getting read by 10-20 countries a day and approx. 190 overall so I know there is interest. If others are interested in pursing my work further, I encourage you to do so. I ask that you reference my work as follows until I actually publish something formally. I have used creative commons protection to publish my work. I realize when I first published I believe I used the most strict terms. The “official” terms are as follows and please ignore any others that appear on previous pages (I have to go back and change them which is time consuming). This allows anybody to reference and build upon my work. just by chance I found your internet site and because I am writing a book about the God of the Bible (a critique of “biblical” israelite and christian religion), I like to integrate your image (mentioned above:showing some galaxy filaments or dendrites) in my book. I would be very glad if you give me the permissions to do so. I would be glad to have you integrate my image(s) in your book.